As Global Chief Economist at CRBE since 2015, Richard Barkham, Ph.D., CRE, is immersed in the trends that drive the global economy and its real estate. In travels throughout the world, he’s watched globalization revolutionize real estate markets which had for decades been subject to local trends. He’s also charted the massive effect of demographic shifts, particularly how Baby Boomers’ shopping habits are dramatically changing as they approach retirement. Most recently, Richard has focused on how technology is disrupting lifestyles – and real estate. In May, 2017, Richard made a disruptive change to his own life – he relocated from his office in London, to Boston, Mass., where he added a new title – Chairman of CBRE-EA (CBRE’s specialist forecasting group) – to that of Global Chief Economist. The Back Story: Richard received his Ph.D. from Reading University in economics and entrepreneurship; he was invited to join the faculty immediately after graduation. “I taught land management, economics and real estate finance for 11 years,” he says. 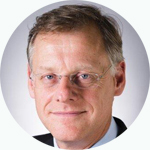 “While academia gave me great skills and deep theoretical insights, I most enjoyed the opportunities to consult with businesses during that time.” Then, at Grosvenor (a company that has been in the ownership of the Duke of Westminster’s family for over 300 years) he was Director of Research and Director of Fund Management, where he utilized his research skills in major city projects, including the award-winning retail-led regeneration of Liverpool. 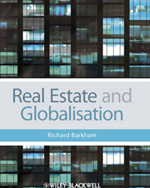 He has authored two books; the most recent, “Real Estate and Globalisation,” is included in the CRE Library. Fun Fact: A native of Gosport, near Portsmouth, England, Richard is the son of a Navy officer. That may account for his keen interest in the sea and watercraft. “There is nothing more exciting than racing,” Richard says of his love for sailing. He owns two sail boats (a dark red-hulled Laser and a Dart 16 Catamaran) and regularly competes in sailing club competitions. He is also a talented artist who draws and paints. “To my great surprise, I have actually managed to sell some of my work…not that I could make a living of it…it takes ages to get one decent looking piece” he says. Inland, he is an avid skier. “Beach or snow…it’s a tough choice,” Richard says. In my ‘spare time’ I would love to be a coach of either sport.